Acrylics are like your favorite brand of perfume which you can’t let go off with so ease. But there can be certain situations where you need to say them good bye for a few weeks or may be forever! Acrylics though very safe and inexpensive mode of beautifying your nails may not be desirable over a long period for every lady. 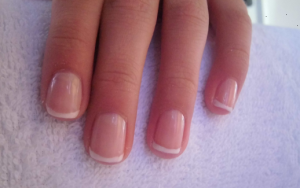 It is healthy to remove the acrylics and let your natural nails breathe the fresh air for a few weeks now and then. These short gaps ensure that your nails have less exposure to brittleness, thinness, staleness and any possible infections. Sometimes they may not suit a person due to specific allergies or other health concerns. The sight of returning to normal nails after shedding those beautiful acrylics is really heartbreaking though. But if the acrylics are taken off, then it is very important to take care of your nails after acrylics in the best possible manner. They might be weak and need proper maintenance and treatment for restoration to normal state, and actually even better than they were ever before. Follow these below mentioned tips and feel proud of yourself having those silky smooth, yet strong and long nails. After losing the strong cover made by the acrylic, the nails are more prone to tearing and brittleness. It’s better if they are kept short for few days or up to a couple of weeks so they can regain the strength. You won’t want to see them tearing apart due to early and premature growth. Give them some time to relax and make sure they are well trimmed during the early phase. You may avoid heavy nail coats during this time as leaving the nails to the nature is the best remedy. Don’t use harsh files or buffers to file the nails after taking off the acrylics. Nails my be too week and easily get damaged with their edges breaking due to harsh nail filers. Use a high quality glass file or buffer along with a professional trimmer to take care of filing and trimming job on your nails. Your nails won’t become strong and healthy just on their own. Offer them some nourishment and the results are always satisfactory. Make sure you use the best supplies which your nails are yearning for during this time, or you may end up destroying them. Invest in some good supplies that are promising as compromising with your natural nails can be very risky over the period. Regularly massage your nails and cuticles providing them essential nutrients. This will promote their healthy growth and make them soft as well like petals. Who doesn’t want her boyfriend to keep kissing her silky nails? Use good nail supplies for massage or organic oils like coconut oil or olive oil. Vitamin E is quite beneficial for your cuticles. You don’t want to keep your nails dry as that would make them tear and more exposed towards brittleness. If you soak them well for few minutes, as convenient, even for few days a week, will keep your nails moisturized and more resistant to any breakages. Soak them in olive oil, coconut oil or use a good nail moisturizer. There are many good lotions available for moisturizing your nails. Hydration of nails is often overlooked by many but is extremely important for maintaining healthy nails after acrylics. Any sudden change to the nails has its own consequences. You may need to consult a professional nail artist if you are unable to take care of the nails yourself. It may so happen that there was fungus or bacteria or any other infection in the nails after removal of acrylics. This usually happens when the acrylics were not done properly using the good supplies. In such situation, its always good to consult rather than being judgmental. Frequent manicures may be taken if the nails are in too bad shape. 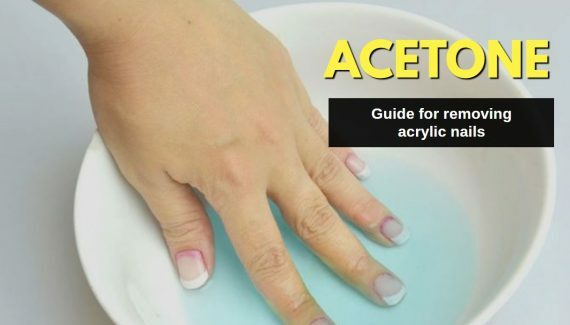 Acrylic nails are pretty awesome to have and safe as well if done correctly. 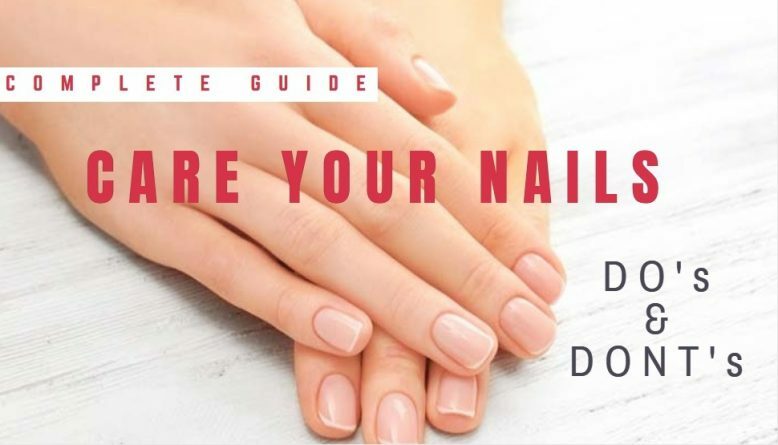 But in case, you feel they are not for you, do make sure you follow the above tips and take good care of your nails after acrylics.